Views for DAYS, Vistas for MILES! 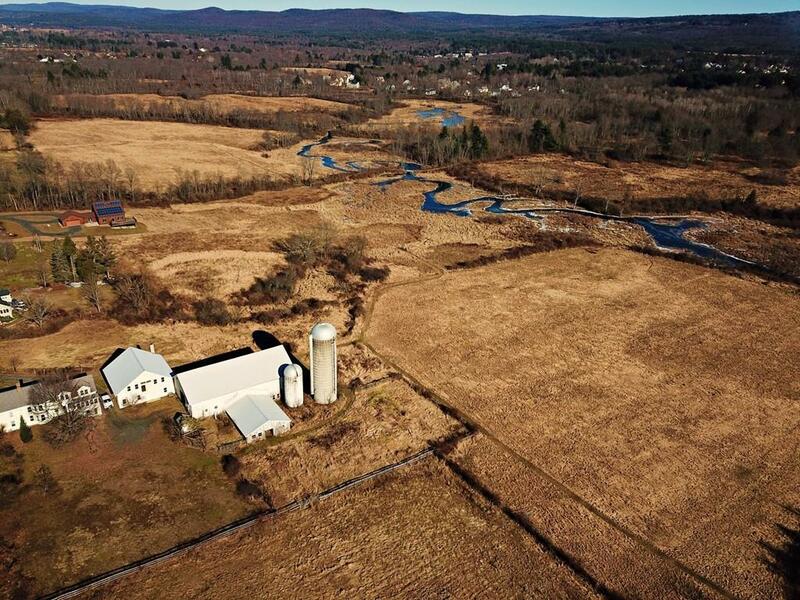 This antique farmhouse, a part of Amherst's historical agricultural lore, graces 1.75 residential acres with two solid post and beam barns; a 2-story converted heated studio/hobby space, the other a 3 story barn that could be LOTS of wonderful things! 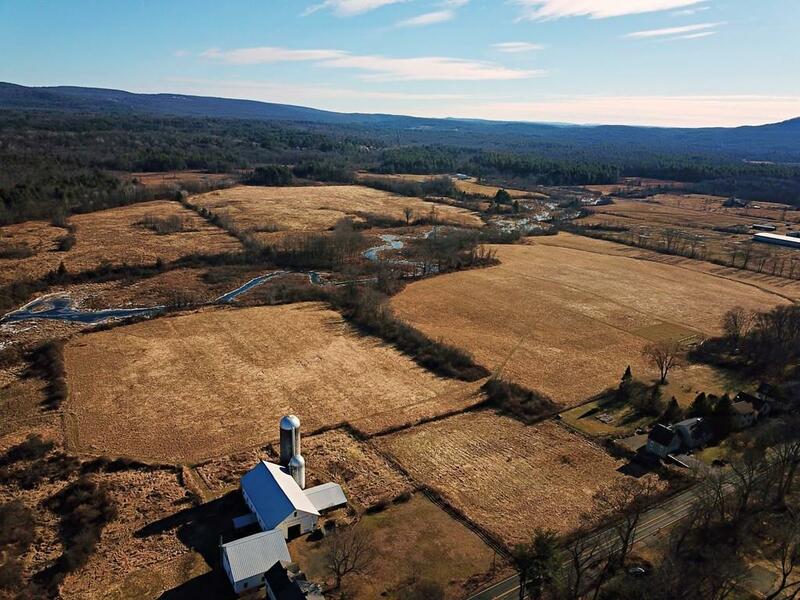 Then...add 75 beautiful acres of productive crop, pasture, and the Hop Brook, and you have myriad living, development, farming, livestock, and commercial possibilities! 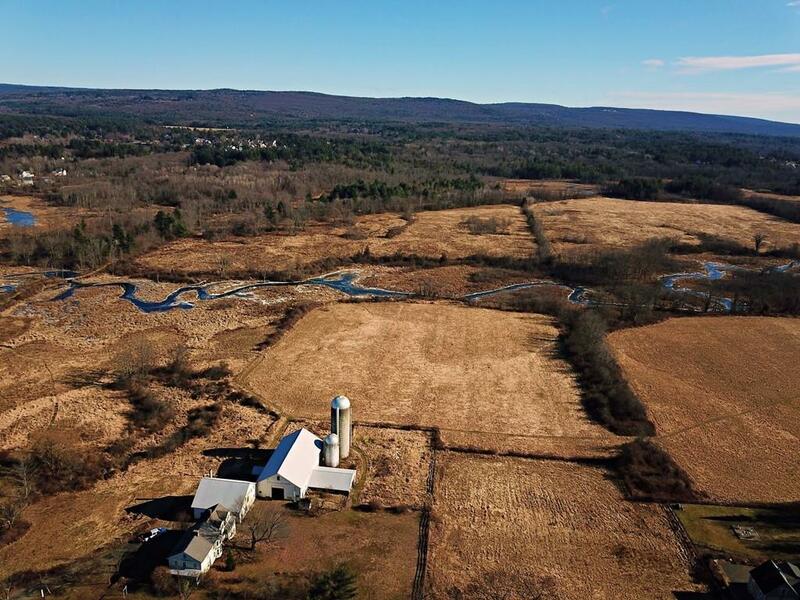 There are sweeping 180 degree views of the Pelham Hills & Mount Holyoke Range, the land abuts the Norwottuck Rail Trail and 100s of acres of Amherst Conservation Land and miles of hiking trails. 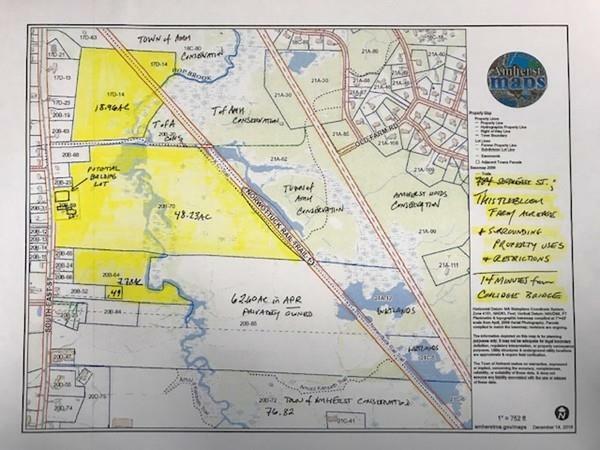 There are 5 total parcels that comprise the 77.12 acres that have the potential to be divided or reworked to fit your needs. This is a rare offering in the Valley in a desirable South Amherst location; DREAM BIG and use your resources to create something lasting and wonderful! Be self sustaining, be enterprising, be a new part of Amherst's history! Disclosures Buyer's Agent Should Confirm All Uses For The Property. Mass Dept. Of Agricultural Resources Has To Be involved in The Transaction & Approval Of Future Uses Of Apr Land. Property To Be Sold "As is". 75 Acres Are in The State's Apr Program. Also Listed For $819000 Without The .50Ac Building Lot.